In 1831, Alexis de Tocqueville and his friend Gustave de Beaumont visited the United States. 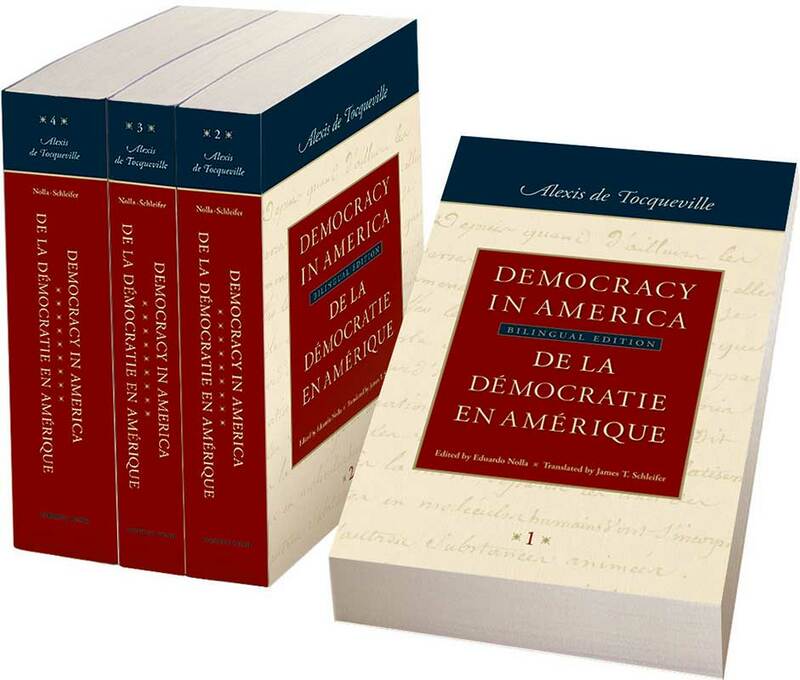 From Tocqueville’s copious notes of what he had seen and heard came the classic text De la Démocratie en Amérique, published in two large volumes, the first in 1835, the second in 1840. The first volume focused primarily on political society; the second, on civil society. The Liberty Fund bilingual Democracy in America includes Eduardo Nolla’s critical edition of the French text and notes on the left-hand pages and James Schleifer’s English translation, with notes, on the right. This is the fullest historical critical edition of the Democracy, and the notes offer an extensive selection of early outlines, drafts, manuscript variants, marginalia, unpublished fragments, and other materials. Alexis de Tocqueville (1805–1859) was a French writer and politician. Eduardo Nolla is a Professor at the Universidad San Pablo-CEU, Madrid. James T. Schleifer is emeritus Dean of the Library and Professor of History at the College of New Rochelle and has been a visiting lecturer at Yale University. Translator's note, list of key terms, foreword, list of twenty-one illustrations including drawings by Beaumont, editor's introduction, exhaustive notes, six appendixes, a list of all works known to have been used by Tocqueville, a bibliography, and French and English indexes.